A little-known gem that is just as much a ‘must-see’ for those interested in political history as it is for vintage comedy fans. Director Lev Kuleshov was an enthusiastic supporter of the Russian Revolution but also liked the USA, its cinema and slapstick humour and dreamed of a future where Russians enjoyed a Socialist version of the American way of life. In this film, he shares his hopes while taking a Max Sennett- inspired poke at the fears and prejudices displayed by the West towards the new Soviet order. This screening will be introduced by film director Barry Bliss and will be accompanied live by pianist John Sweeney. 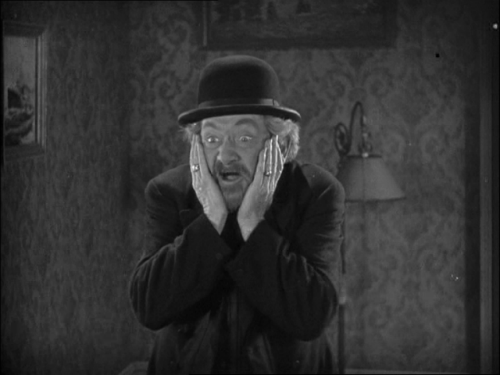 The Oscar-winning film-maker and film historian Kevin Brownlow introduces the funniest surviving comedy by the long and unfairly-neglected ‘silk hat’ silent comedian Raymond Griffith. Set in the American Civil War, this film finds Griffith plays a Confederate spy trying to capture a Union shipment of gold. The actor was a particularly fine mime – as is illustrated superbly here in a sequence of a stagecoach attack by Indians. With a piano accompaniment by John Sweeney. January 2014 is the centenary of when Charlie Chaplin’s Tramp character first appeared on the cinema screen, sparking a global love affair which means the image is still one of the most universally recognised. In this session, David Robinson – the foremost authority on Chaplin – presents a visual survey of the Tramp’s first hundred years, from the first seemingly offhand choice of costume and accessories to his final screen appearance and subsequent immortality. Screenings include the film in which the Tramp debuted: KID AUTO RACES (Dir: Henry Lehrman, USA, 11 mins). 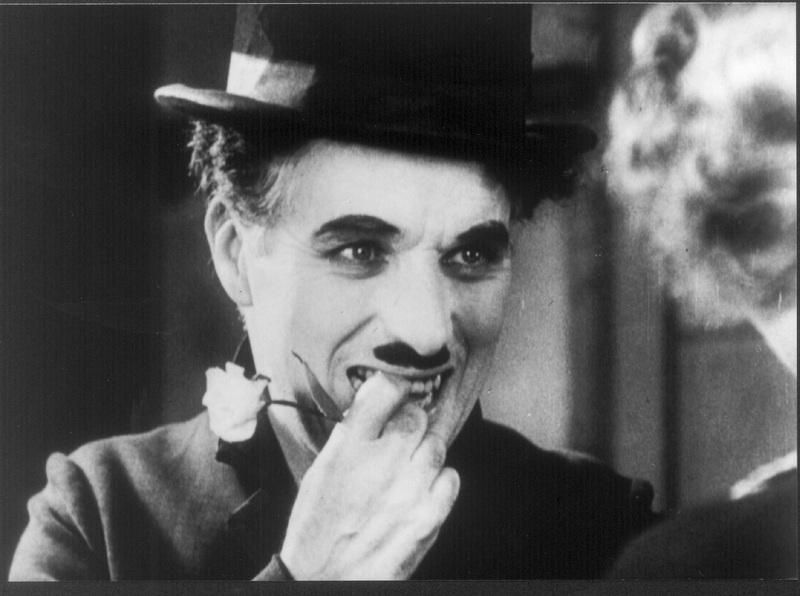 Slapstick celebrates both its 10th birthday and the centenary of the screen debut of Chaplin’s best-loved character, the Little Tramp, with a very special bill of silent movies and music, hosted by comedian, actor and Chaplin admirer Omid Djalili. It wasn’t uncommon as the First World War began – a young man of military age fails to answer the call to fight and risks being punished as a deserter. But hiding from the recruiters wasn’t an option for someone already as famous as Charlie Chaplin. It could have meant prison or worse but, fortunately for cinema, the Allies decided Chaplin had far more value as a morale-booster than a soldier and let him carry on entertaining. Here, the acclaimed screen historian Kevin Brownlow looks back on a lesser known chapter in Chaplin’s life with Andrew Kelly, mastermind of Bristol’s Great War commemorations. Illustrated by rare footage from the era, including a never-released fund-raising film so-starring Harry Lauder. Continuing Slapstick’s championing of silent screen comediennes, Constance Talmadge stars here in a dual role – as an unhappy wife (to a very young Ronald Coleman) and as the wife’s vivacious sister. This film has only recently been restored and shows Talmadge at 28 and on peak form. With an introduction by stand-up star Lucy Porter and accompanied live by The European Silent Screen Virtuosi. Broadcaster, film critic and author Matthew Sweet is joined by festival guests for a discussion about the enduring appeal of Chaplin’s 1931 film CITY LIGHTS and the global impact of its central character, the Little Tramp. This event will be broadcast as a Landmark Discussion on BBC Radio 3 and available afterwards on BBC i-Player. Introducing Chaplin to a new generation. Charlie Chaplin didn’t have the happiest of childhoods. His father was mostly absent, his mother was committed to a mental asylum and by the time Chaplin was nine, he’d already spent two spells in the Lambeth Workhouse. So how did he overcome such early setbacks to achieve worldwide fame and wealth? In an engaging illustrated talk, Kate Guyonvarch, Director of the Chaplin Office in Paris shows how Chaplin’s difficult beginnings enabled his phenomenal later success possible. Includes a screening of THE ADVENTURER (1917). Slapstick unleashes a special tribute to Bristol’s very own Oscar-winning silent comedy, charity fund-raising and sculpture trail superstar: Gromit. Creator Nick Park CBE, talks here to broadcaster and author Matthew Sweet about the comedy canine’s best slapstick moments, using excerpts from the globally adored animation THE WRONG TROUSERS (1993) and other screen outings. This family friendly event also features a big screen showing of Gromit (and Wallace’s) debut film, A GRAND DAY OUT’(1989) accompanied with live improvised piano by Slapstick’s musical director, Günter A. Buchwald. Anyone who knows the wondrously funny work of The Goodies will also be aware of the influence on the tv award-winning comedy trio of silent clown Buster Keaton. So imagine their delight when they heard about the discovery of previously unknown footage, including a sequence cut from THE BLACKSMITH (1922) because it was too naughty for the time AND a hitherto ‘lost’ Keaton film. So now Bill, Graeme and Tim are reuniting to share their finds with the help of Serge Bromberg of Lobster Films, Paris and present the long overdue premiere of THE GORILLA MAN (1950). The last ever film by the Monty Python’s Flying Circus team is a riot of best-loved Python moments –a genius assembly of hysterical, silly and no-cow-too-sacred sketches exploring Life – from birth to death – including one of the most memorable of the many unforgettable characters created by Terry Jones: the appallingly gluttonous Mr Creosote. This is a rare chance to watch a 20th century comedy classic on the big screen with the added bonus of director, writer, performer Terry Jones providing the introduction and then joining Chris Serle on stage for an after-film discussion. Max Davidson (1875-1950) was a German actor who specialised in playing a henpecked Jewish father. At the peak of his career in 1927 he was given his own series of two-reeler comedies which turned out to be the best shorts ever made by the Hal Roach Studios. Here Graeme Garden picks his favourites from the collection, each finding delicious humour in Davidson’s portrayal of a ‘fish out of water’ family man – raised in a tradition of old world manners but with children who are enthusiastic adopting the American way of life. “Colin Sell…. on the piano” is a familiar phrase for fans of I’M SORRY I HAVEN’T A CLUE from Colin’s 40yrs as the accompanist to the BBC R4 comedy show. There, he’s usually only ever heard in short bursts. Here, he proves his true talent as musician, by playing live to one of the very finest and funniest full length silent features – Harold Lloyd’s SAFETY LAST (featuring the famously gripping clock tower climb that was a marvel of filmmaking ingenuity in its day). With an introduction by Slapstick Festival favourite Barry Cryer. To give rare insight into the making of a classic British black comedy of cult status, Slapstick 2014 concludes by getting cast members Paul McGann (Marwood) and Ralph Brown (Danny) to share their memories of making the very funny and still hugely popular WITHNAIL & I. After the screening, Phill Jupitus will lead a discussion on how and why the film became such an important cultural icon. 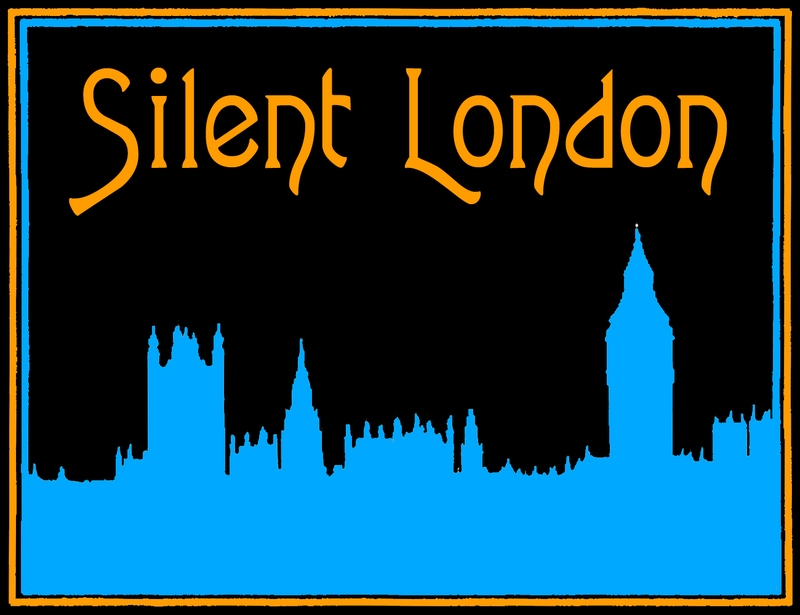 Check out this nice post about our Slapstick Festival from Pam at Silent London. Will get one of our own up soon as we get a chance! ITMT, thanks Pam! Any publicity you can create for these much appreciated! Some of my absolute favourites there Ian. I’ll add them to the listings right now. Thanks for letting us know about them. Do people actually find Max Davidson funny nowadays? I’d put it up there in wtfery alongside Golden Dawn and Goin’ to Heaven On a Mule. And I used to think that Lubitsch couldn’t be unfunny until I saw a couple of his Sally Pinkus ‘comedy jew’ shorts.